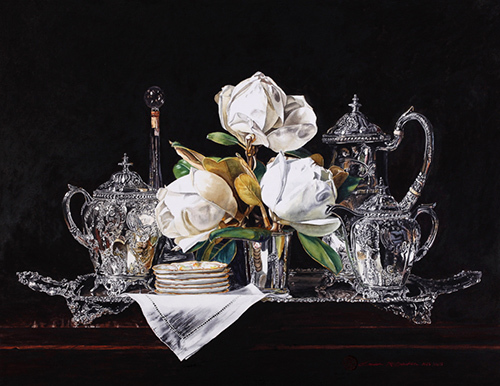 My painting, "Objects on Silver Tray", has been accepted for inclusion in the Shenzhen International Watercolor Biennial. There were 2825 entries from 54 countries to this exhibition. There were 250 paintings selected for exhibition, 58 are from the US. The opening will be December 10th, 2013 in Shenzhen China.